My friend Lynne Lee Diep recently shared a wholewheat roll recipe by Alex Goh. The recipe uses an overnight dough starter made from white strong bread flour. I tried the original recipe and it produced a lovely soft roll. I then decided to try this recipe but with wholewheat flour for the overnight starter dough and am thrilled with the results. 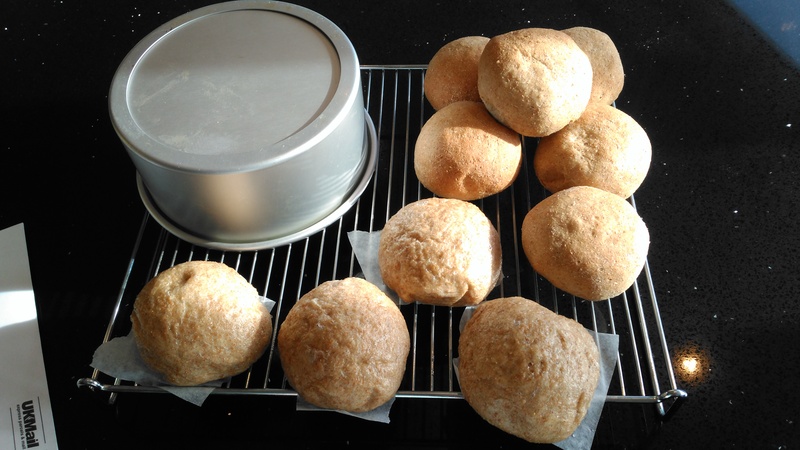 I baked and steamed the rolls and now have wholewheat steamed Man Tao’s! Here is a list of ingredients I adapted from the original Alex Goh recipe. Put all the above in the bread machine on the “dough” function, mine takes 90mins. Remove when it is complete and leave it in the fridge overnight. Add all the above except the butter into the bread machine in the order the ingredients are listed. Use the “dough” function and start the kneading, when the dough has formed a rough ball add the butter and let the machine complete the kneading and proofing. Once complete, remove and shape. Proof for another 45 mins in a warm place. If baking in the oven, preheat fan oven at 170 and bake for 12mins. 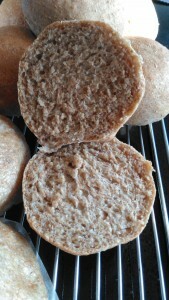 If steaming, steam for 10mins on a low/medium heat (do not use too much steam or rolls will be too wet). After 10mins, turn off the heat and wait for 5 to 10mins before lifting the lid. Lifting the lid before hand may cause your bao to deflate!